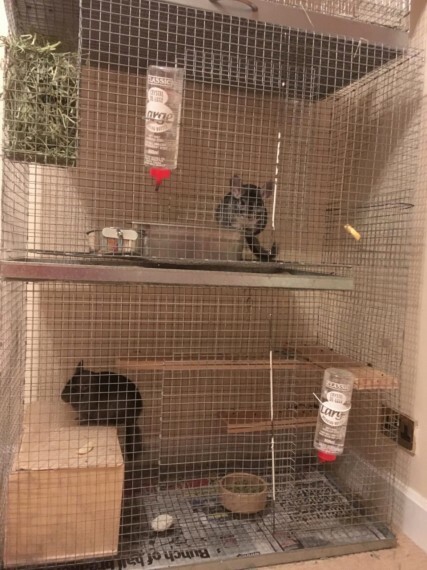 Hi for sale are my 2 chinchillas pipa and Chico, both have been together since the age of 12 months and are now the age of 4 years. They were originally a breeding pair but the male (Chico) has been neutered. Both have a great personality and love to run around, they are used to being handled and have a very gentle nature. The male is a hetro ebony and the female is a standard hetro ebony carrier, Both were breed from award winning show lines. They will come with a 2 tear cage with food, dust and hay. I am open to offers, Thanks for looking! !